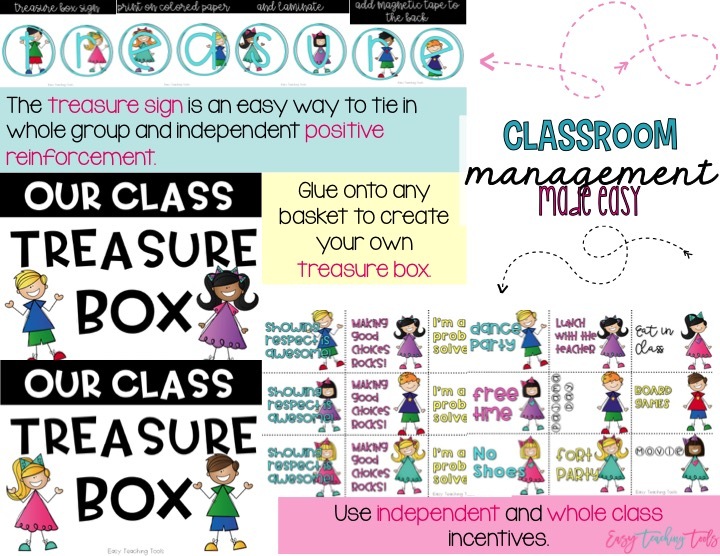 Do you use classroom incentives in your class? Students perform well with clear expectations and positive reinforcement. 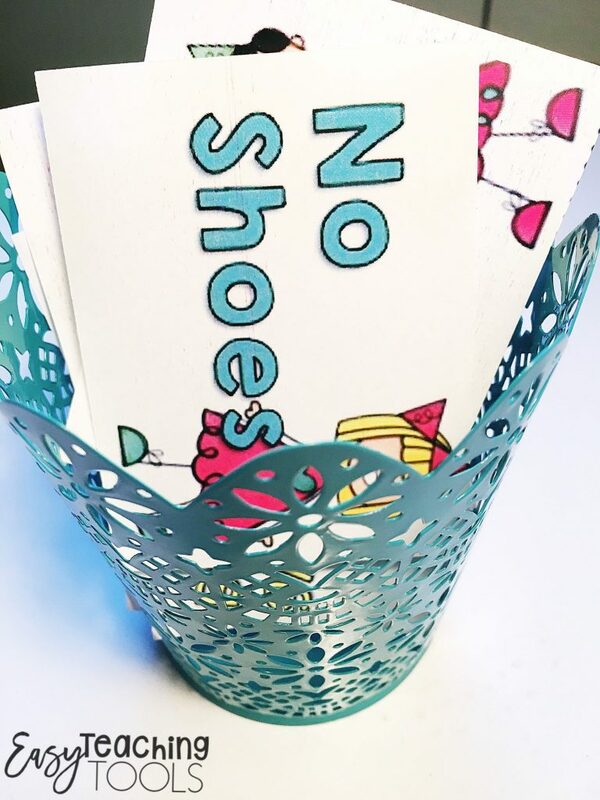 Classroom incentives are powerful tools teachers can use to maintain high expectations and reward expected behavior. I’m my class, I constantly acknowledge students for showing respect when they look at the person talking or make a good choice when she didn’t remember where to turn in a test so she asked a friend. I use positive reinforcement in a whole group setting, small groups, and individually. I’ve used a marble jar since the beginning of time. I like the sound of marbles going in or being taken out because the noise gets the attention of the class without saying a word. It’s just a plastic container full of decorative marbles. I introduce to the jar to the class and let the class know we’ll be using this magical jar for the year. It has the power to bring our class some really cool prizes. We go over our 3 expectations and students brainstorm ways they can fill up the marble jar. ***They get to vote on a prize that won’t cost the teacher any money. *** Or, make it a surprise and have a student pick out a random coupon to determine the prize! I love a good treasure box. 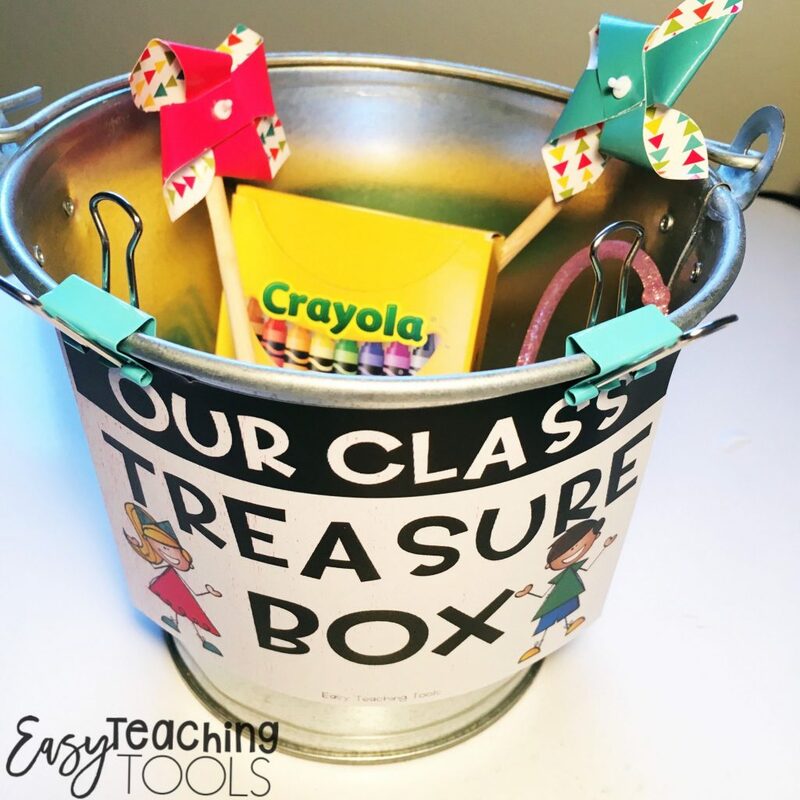 I gather happy meal toys, things from Dollar Tree, and donations from parents to make our treasure box. 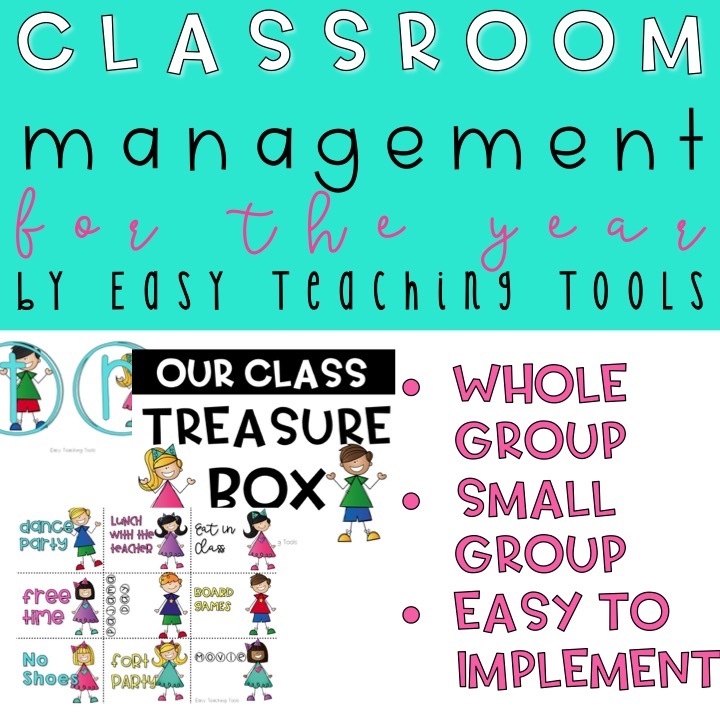 I use 8 die cuts that spell out treasure, put a magnet on the back, and put them up it on our whiteboard. If the whole class got in trouble at PE, they lose a letter. If they’re super chatty during a transition, they lose a letter. If they are respectful at an assembly, they earn a letter. On Friday, we use those letters for treasure box. We’ll get more into that below when we talk about individual incentives. I’ve always loved using table points in our class. 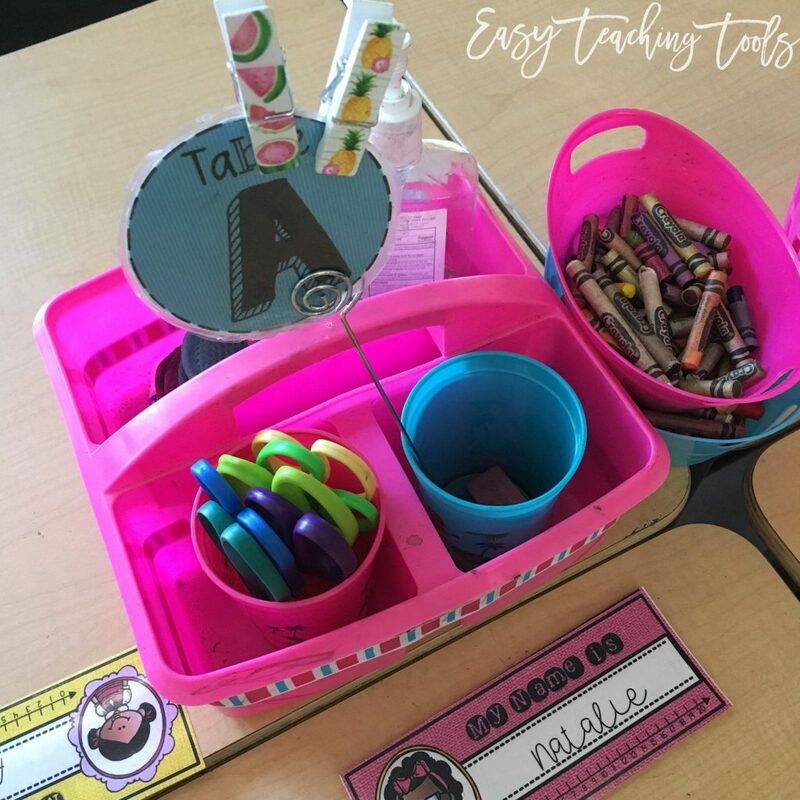 No more tally marks with this genius classroom hack! The team at the end of the week gets our special read aloud books for the week, they can go to recess independently, free time on the computer, etc. It’s essential to use incentives one-on-one as well. 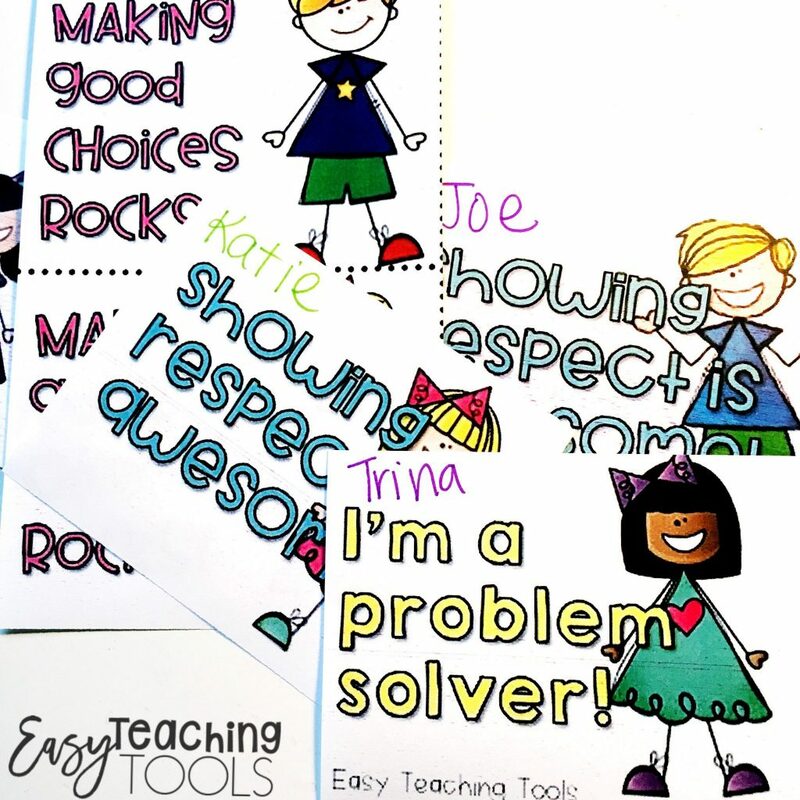 When kiddos are showing one of the three expectations we talked about here, they can earn an incentive. I just cut them up, leave them in a tray, and they grab one. They write their name on it and leave it in our container at the front of the room. On Friday, when we count out the letters we earned to spell T-R-E-A-S-U-R-E, we’ll pull names from the container. If we have 5 letters, we’ll pull 5 names. Here’s the cool part. If I call Chatty Kathy’s name twice, she get two prizes from treasure. Does this seem manageable for you? I sure hope so! 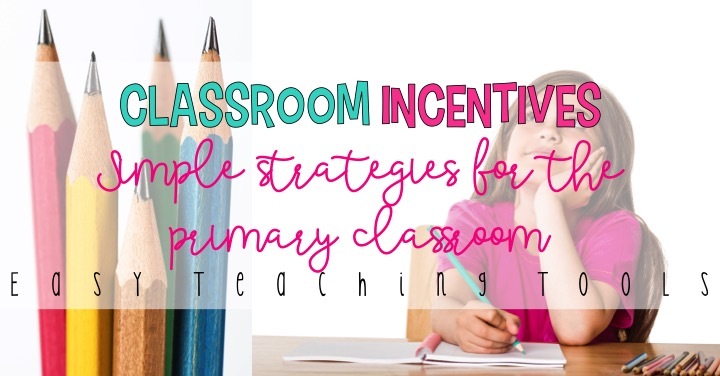 I’d love to know what part classroom incentives is a challenge for you. 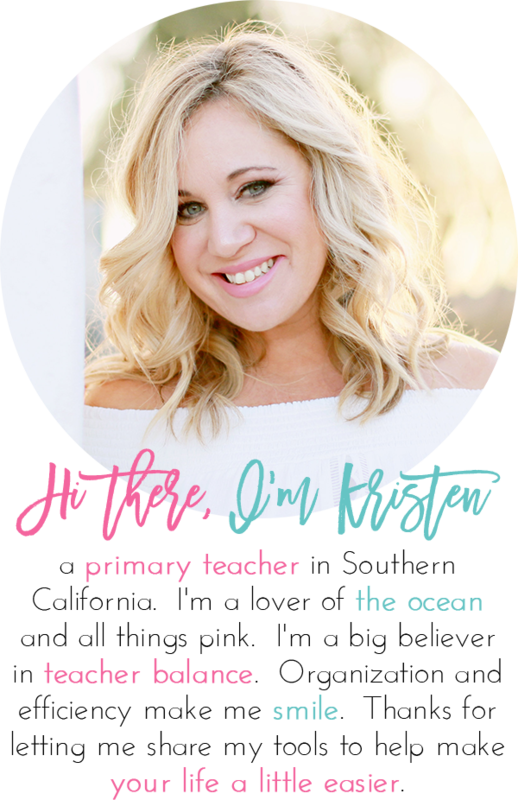 For the next 2 weeks, I’ll be breaking down classroom management for you in a daily e mail. I’ll make it short and sweet because I know how busy you are. Click here if you aren’t already signed up. Short on time putting some of these ideas together? I made this resource pack just for you. 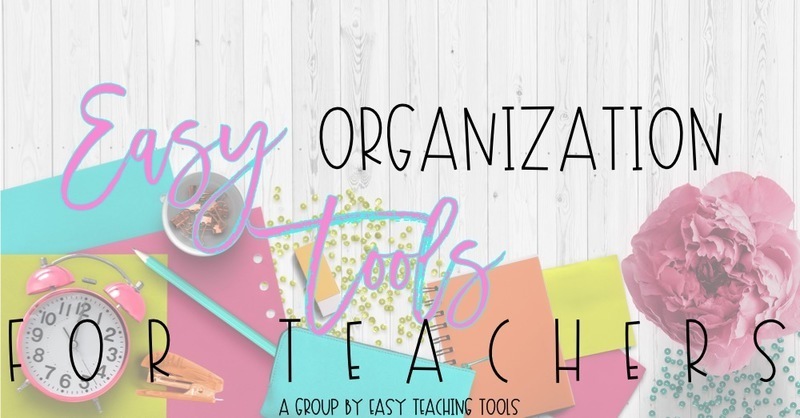 It comes with everything discussed in this post and so much more! 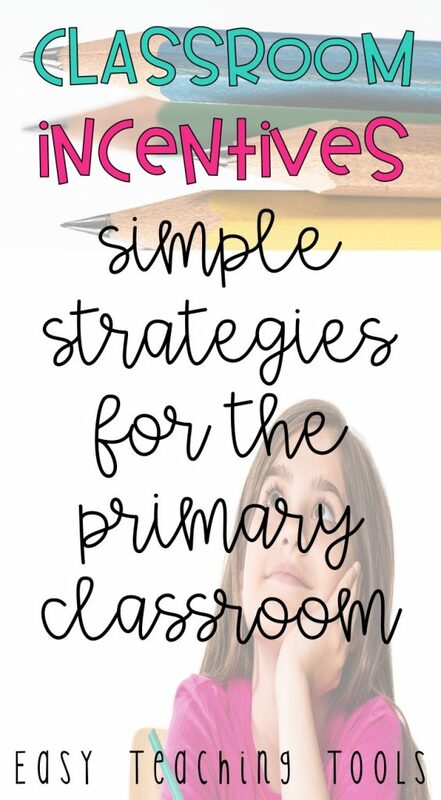 I’m going to try some of these ideas in my classroom. Can’t wait to get the newsletter!